BERLIN: EINLADUNG > Erdforum-University of the Trees > TreffenGerne möchten wir euch einladen zu einer Zusammenkunft am Mittwoch den 2. September 2015 in Berlin. Gerne möchten wir euch einladen zu einer Zusammenkunft am Mittwoch den 2. September 2015 in Berlin. Die Versammlung ist für alle, die seit 2012 ein Erdforumtraining gemacht oder an einem oder mehreren Erdforumprozessen teilgenommen haben. Außerdem sind alle eingeladen, die an einer der University of the Trees Praktiken oder Veranstaltungen beteiligt waren. 4. 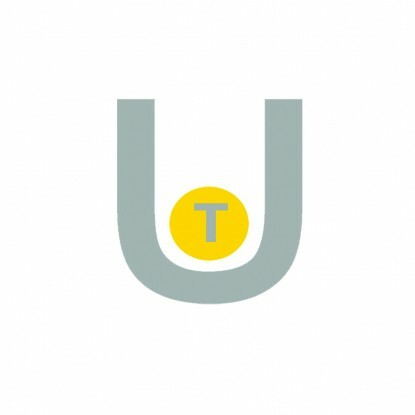 Das neue Training für UOT Prozessbegleiter vorzustellen, und Möglichkeiten dies in Berlin anzubieten zu erkunden. Wir werden vom 28.-31. August mit den Citizen Art Days in Berlin und desweiteren vom 4.-6. September in Dresden arbeiten. Wir freuen uns darauf euch am 2. September im Freies Museum zu treffen! Bitte sag uns Bescheid wenn du vor hast zu kommen. Wir werden drei tolle neue Reflektions- und Arbeitsbücher vorstellen. UOT Mitarbeiter Annelinde Kirchgaesser und Markus Stefan, die seit einer Weile in Entwicklung aktiv sind, werden mit mir kommen. Wolfgang Zumdick wird auch dabei sein. 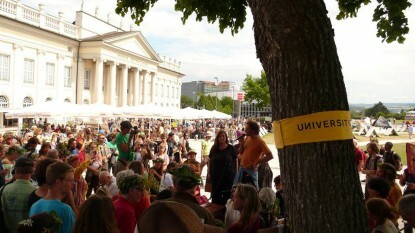 University of the Trees has been invited to introduce Earth Forum in Dresden. The first Earth Forum event on Friday 4 September is open to all. This will be followed by a 2-day intensive training to enable people to begin to guide an Earth Forum process themselves. 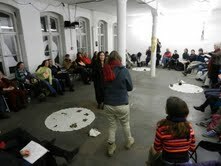 Some of those trained this September in Dresden will guide Earth Forum processes at the UMUNDU festival in Dresden between 16 -24 October 2015. UNIVERSITY OF THE TREES – in collaboration with BASIC INCOME, UK invites you to participate in an EARTH FORUM process led by Shelley Sacks. EARTH FORUM is a social sculpture, connective practice involving a direct encounter with the earth, how we live in the world, and with each other. It enables new insights and exchanges on our notion of ‘work’ and what this does to us and to the world. If the Earth Forum on Friday 8 May is full, you can sign up with Basic Income UK [contact@basicincome.org.uk] for an Earth Forum in the next three months. Wolfgang Zumdick and Markus Schäfer will share two days with participants of the Heinrich Böll Foundation to discover the traces of Beuys and Böll at Düsseldorf and Cologne. Only in German! For our German friends: join us at this talk with Shelley Sacks in Kassel! ‘Social Sculpture and Eco-Citizenship: Shaping a Culture of Connectedness’ is hosted by Transition Town Kassel and will take place at the Kunsthochschule on Friday 10 April from 7:30 pm. Have a look at our Facebook page or at the event page for more information. Wolfgang Zumdick will give a lecture at the Symposium “Beuys – the last Romantic?” organized by the University of Rennes and the Musée des Beaux Arts de Rennes. The symposium takes place on Thursday February 26th 09:30 – 18:00 at the Musée des Beaux Arts Rennes. Oxford Brookes University, Saturday 22 November from 10am – 6pm. In the field of social sculpture, we explore forms of agency and ways of working towards a ‘humane and ecologically viable future’: ways that highlight the capacities of every human being to respond creatively to the challenges of shaping our own lives, of living with others and of responding to many other forms of the ecological crisis. This transformative impulse can manifest in the world in many different ways. One of these ways is referred to as activism. Despite the plurality of approaches in this movement, activists describe modes of thinking and acting that sometimes constrain more than they enable. What might a social sculpture point of view have to contribute to this field, and vice versa? Could we imagine an ‘expanded’ understanding of activism, which increases the potential forms of engagement, recognising that we share this world with a great diversity of people who carry a multitude of cultural forms? How can we begin to ‘care at a distance’ and respond in ways that correspond with our individual capacities, to that which can seem distant, geographically, personally and culturally? In this forum we will enter these questions together and look at examples of people’s work and experience. You are invited to reflect on what these issues mean to you, and participate in this open exploration and dialogue. If you would like to share an example or brief ‘case study’, please send us a message to discuss the envisaged form and length of your input. The colloquium is in German only. What is Social Sculpture? Talk by Dr. Wolfgang Zumdick (Social Sculpture Research Unit), facilitated by artist Fern Thomas at Beuys Pavilion @ Barrack Ln, Cardiff, CF10 2FR on Saturday 1st November from 2pm. Fern Thomas, an MA Social Sculpture graduate, is currently Researcher in Residence at the Social Sculpture Research Unit. Includes a screening of Joseph Beuys’ Public Dialogue by Willoughby Sharp. 1974, 120:15 min, b&w, sound. On Sunday 2 November, Shelley Sacks will be speaking at ‘The Sculpture Question’ conference at the Folkestone Triennial. She is on a panel responding to a talk by Mary Jane Jacob. Introduction to Earth Forum and University of the Trees at the Dear Earth Conference from the 3rd – 5th October 2014 in Scariff, Co. Clare, Ireland. The DEAR EARTH Conference event is for people who want to deepen their relationship with the EARTH – finding a way to live in a connective, non-exploitative way with the planet we inhabit, and to further develop as human beings. 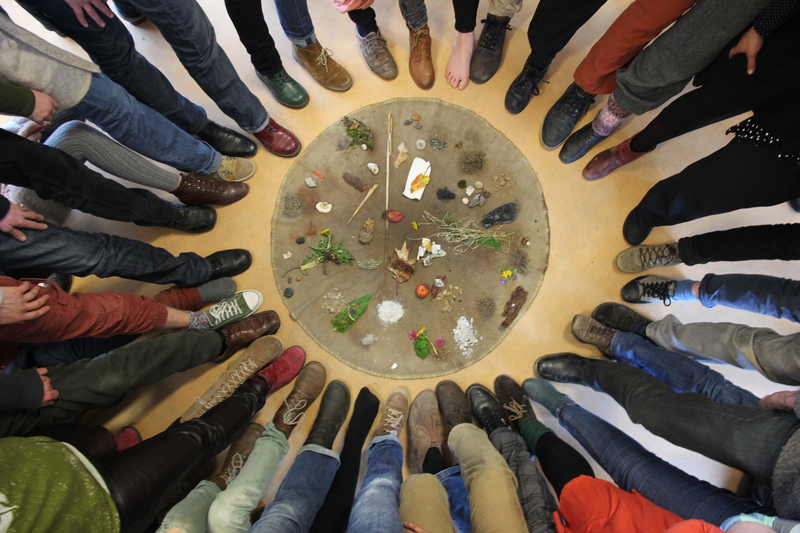 Shelley Sacks is running an Earth Forum, giving a talk on Social Sculpture and helping to initiate the first University of the Trees – Social Sculpture academy group in Ireland. She joins a great line up of people giving talks and workshops at this event. One of these is Michael Schmidt – Farmer and raw milk Campaigner from Toronto, Canada. Ian Castles – co organiser of the conference and social sculpture practitioner – will present his sound chair. Young people between 18 – 30 come and get involved in exchange for a free ticket – we need creative helpers! UNIVERSITY OF THE TREES – a participatory, international, social sculpture exploring appropriate action through new ways of perceiving our relationship to the world – will be happening for people living in East Clare on Sunday 5th October at 2.30pm as an extra event after Dear Earth Conference. 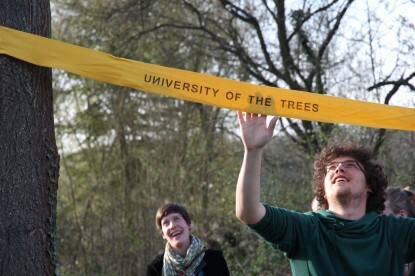 So East Clare will have its own University of the Trees. Dear Earth Conference is an interactive conference of talks, workshops, music and sharing cafe for people who wish to deepen their relationship with the Earth. 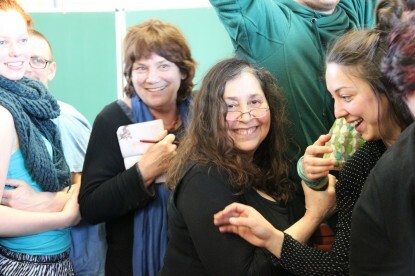 Shelley Sacks will be there from 23-29 August to further develop a multi-layered Agenda for Transformative Action in the context of the University of the Trees! Shelley offers an Earth Forum for ‘beginners’ who would like to join the deepening EF training. AGENDA for TRANSFOMATIVE ACTION and field-sensing. Facilitated by Shelley Sacks, with Wolfgang Zumdick and Karsten Winnemuth. Click here for further details (in German only). For more information and to confirm your place write to erdforum@gmx.de or call 0049(0)15739197490! Both processes are free, but contributions to cover travel costs etc. would be welcome. Sarah Thorne – facilitator of the Oxford Unconditional Basic Income Group invites you all to an open meeting. Barb Jacobson, chair of the Unconditional Basic Income EU group will join us to give a talk about her experiences in the last year and why she thinks the idea has gained so much interest in Europe in the past months. We will be discussing a number of events, projects and plans to get involved with in the coming months. PLEASE NOTE: This event is not taking place on 19 June. Details of rescheduled date will be posted here and on Facebook: Social Sculpture Research Unit. For all current ‘responsible participants’ and those who want to become involved. Can anyone be anti-capitalist, what does anti-capitalist even mean, why have an anti-capitalist practice at all? Join us at Modern Art Oxford for a joint exploration of what is meant by anti-capitalist practice – we’ll be looking at personal experiences, case studies and a little bit of theory. This is a group for everyone who feels they are in some way active in working toward an alternative to capitalism. All welcome. Please let us know if you’d like to come. The installation Ways through Stone by Claudia D. Schluermann is the arena for a social sculpture workshop process that engages with the material “stone” as a gateway to other forms of knowing. The aim of the workshops is to access insights into the nature of imagination and the transformative potential of art processes. The installation consists of a “flow” of Cotswold limestone that follows the exact direction of the geological formation deep down under our feet, and which runs diagonally to the ground plan of the Gallery. A series of stepping-stones lead to an intimate space framed by walls surfaced in carded white wool, which create the shelter for a single sculpted stone. Sixteen wooden stools invite visitors to contemplate their connection with and understanding of the material forms. The table at the opposite end to the shelter holds three books, which present different aspects of the artist’s engagement with stone. There are a few spaces available on the one-day workshop processes on 27, 28 and 29 January 2014 (from 10 am to 5 pm). Shelley Sacks and Wolfgang Zumdick will run a social sculpture – connective practices programme at Emerson College. It includes two lectures: one on Friday evening by Shelley Sacks – and one on Saturday evening by Wolfgang Zumdick. Shelley will introduce the field of Social Sculpture with her lecture ‘Social Art: Listening to the Future and Connective Practice’. Wolfgang will speak on the connections between Steiner and Beuys – and how their ideas inform the field of social sculpture now. 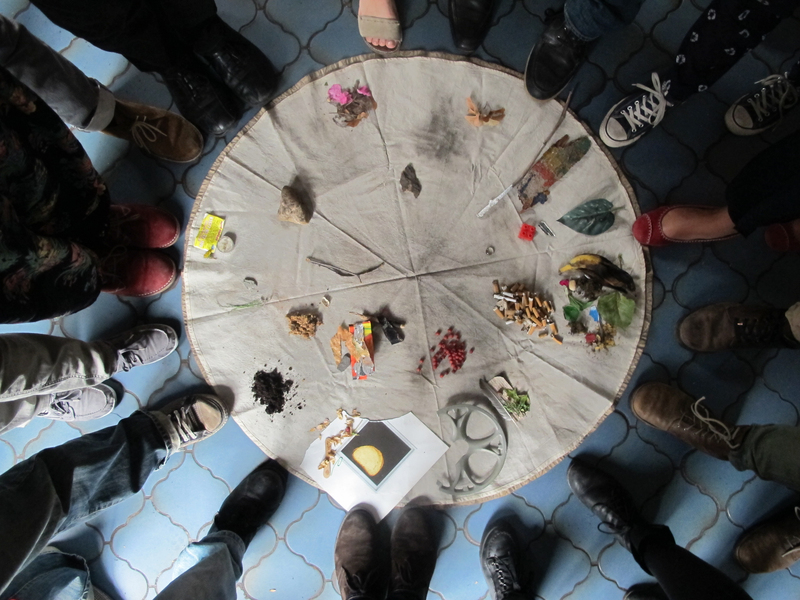 On Saturday during the day, Shelley and Wolfgang will involve all workshop participants in a number of ‘connective, social sculpture practices’. Past and current Emerson students will participate and assist them with this. These practices will highlight connections between Steiner and Joseph Beuys and how their vision of ‘social art’ or ‘social sculpture’ is being taken forward and explored through projects like University of the Trees and in the teaching programmes of the Social Sculpture Research Unit. Following the reading, Shelley and Wolfgang will be available to participate in discussion about aspects of the book. 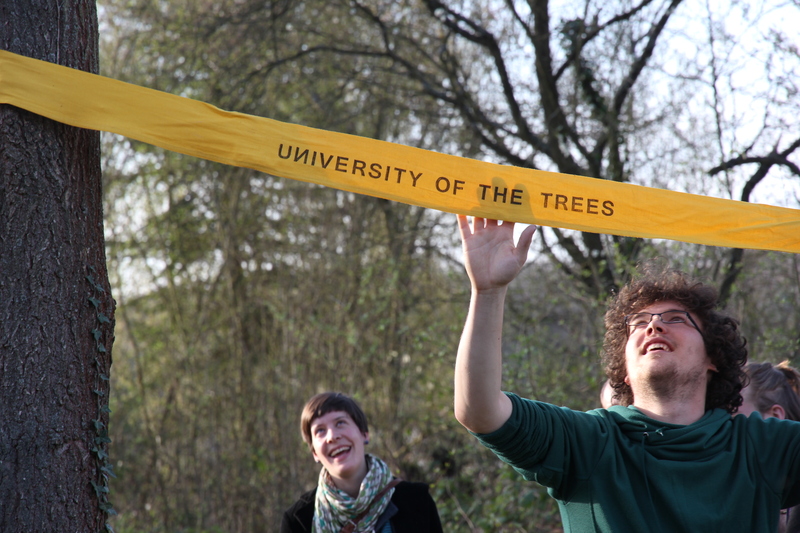 On Sunday morning from 9:30 – 12:30 we will continue our exploration of the field of social sculpture through University of the Trees and its practices, with another ‘connective practice’. An aim of this weekend programme is to introduce contemporary developments in ‘social art’ or ‘social sculpture’ that enhance each individual’s current practice and stimulate impulses for new ways forward and some understanding of ‘connective practices’. The programme fee for the weekend is £100 / 75 for alumni. Accommodation and meals are available on request for an additional amount. The course takes place in the beautiful grounds and buildings of Emerson College in Forest Row, Sussex. The programme is open to the public as well as to Emerson students. Erasmus programme across 4 institutions, including Changemakers, Amsterdam; Cork Institute of Technology; and Social Sculpture Research Unit. For all MA and PhD social sculpture students. Others welcome, but due to limited places, please contact Helena Fox directly to enquire about attending. Exploring how habitual patterns of reaction in our bodies effect our experience of self and world; utilizing The Alexander Technique. Very limited places, if any after MA and PhD students. Hosted by OYA, Berlin and Schweisfurth Foundation, Munich. Workshop and lecture-discussion. Contact Matthias Fersterer at OYA: mf@drachenverlag.de for further details and booking. All day workshop with Axel Ewald (Author ‘New Eyes for Plants’) on the Goethean Approach to Colour and the significance of this as a methodology in the field of social sculpture. Open to the public. Limited places after MA and PhD students. Small fee for non SSRU students. Introducing University of the Trees and Earth Forum to groups in India, with Shelley Sacks. Mumbai (including the Mohile Parikh Centre). The Art of Nature is an event organised by Judy ling Wong with links to the UN Man and Biosphere programme. Other presenters include David Haley. Venue: Music Room, Headington Hill Hall, Oxford Brookes. For MA and PhD students, but all welcome, space permitting. Tomas Remiarz is EU International Permaculture Programme leader. The workshop is for MA and PhD Social Sculpture students.